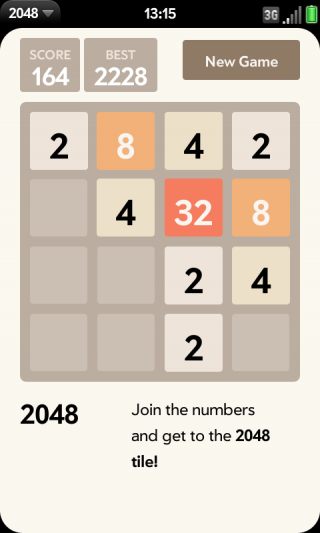 This is the webOS version of 2048 puzzle game. It is optimized for all webOS devices. Move the tiles with your finger or keys W,A,S,D. Each time 2 tiles with the same number touch, the numbers are added and the two tiles merge. Produce the magic number of 2048!